Stress is one of the key crises each one of us faces in life. 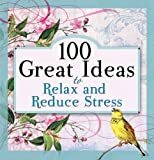 100 Great Ideas to Relax and Reduce Stress not only provides encouragement, but it also focuses on meaningful tips for making relaxation possible and bringing down the stress level in our lives. Inspirational messages and thoughts are blended with practical tips. Stress management solutions for you and your children! 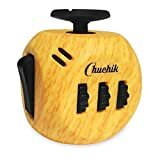 Mindfulness: Mindfulness for beginners: 32 easy mindfulness exercises for beginners on how to live life in the present moment, relieve stress and reduce anxiety. Losing control of your emotions? Stressed out more than usual? You are about to discover an easy, straightforward plan to help you ease stress and anxiety, helping you reclaim the joy in your life YOU deserve! Do you fail to follow your plans despite your best intentions? Feeling stressed, anxious and overly distracted in this demanding world? Looking for some peace and tranquility? Your day-to-day wellbeing is determined by your thoughts and emotions. Stop living mindlessly. Learn to be in control of your thoughts and emotions. Mindfulness will tell you unique practices through which you will learn the essential steps and qualities to become more mindful.